The Periodic Table is one of man's crowning scientific achievements. But it's also a treasure trove of stories of passion, adventure, betrayal, and obsession. The infectious tales and astounding details in THE DISAPPEARING SPOON follow carbon, neon, silicon, and gold as they play out their parts in human history, finance, mythology, war, the arts, poison, and the lives of the (frequently) mad scientists who discovered them. We learn that Marie Curie used to provoke jealousy in colleagues' wives when she'd invite them into closets to see her glow-in-the-dark experiments. And that Lewis and Clark swallowed mercury capsules across the country and their campsites are still detectable by the poison in the ground. Why did Gandhi hate iodine? Why did the Japanese kill Godzilla with missiles made of cadmium? And why did tellurium lead to the most bizarre gold rush in history? So the description makes the book sound downright amazing which is why I bought it in the first place. Unfortunately, I was fooled. I was expecting the author to describe the various elements of the periodic table and then show the quirky ways they popped up in history, and while Kean did do that every now and again, I felt as though he spent way too much time on the actual science of the elements. Now far be it for me to tell an author how to write their book, but Kean really should have focused the book on the personal stories because those were the parts that I was enthralled with. And I know what you’re thinking, “Brittany, the book is about the periodic table, of course it’s going to be about science.” To which I say, “It’s also supposed to be about tales of madness and love, its right there in the title!” And I’m not begrudging that the author wanted to teach the world about the periodic table, in fact I was actually looking forward to learning something. I am after all the person who read The Speckled Monster, , a historic tale about small pox, by Jennifer Lee Carrell just because I was interested in learning more about one of the deadliest diseases known to man. 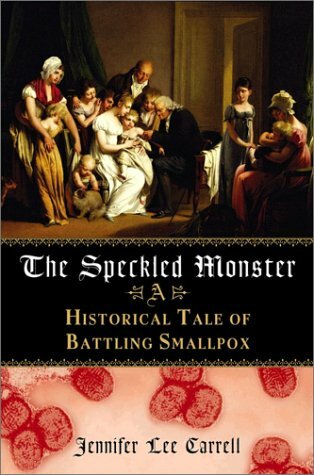 On a side note, I highly recommend The Speckled Monster it was fascinating to learn about how inoculations were started. Seriously, it amazes me that it even started, today’s equivalent would be, “Here let me inject you with the HIV virus to prevent you from getting AIDS.” Craziness! 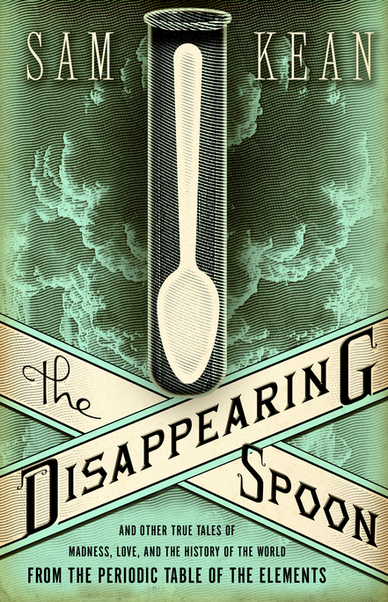 Anyways, like I was saying about The Disappearing Spoon, I just wish there would have been more interesting tales and fun facts along with all the science mumbo jumbo. Although to be fair, as a history major and lawyer science isn’t really my thing. I’m sure that the lawyer/chemist that I work with would fall in love with this book; mostly because she’ll probably understand everything that went way over my head. Bottom line: I was literally counting out the pages and chapters until I was done, which is never a good sign. So while I do recommend this book to all the science lovers out there, I suggest anyone who does not have firm grip on chemistry and physics to steer clear. And onto the next . . . I just finished, and fell in love with, The Pillars of the Earth by Ken Follett.